It is the mark of a good author when they manage to make you love characters you already know are dead. This story is two stories in one. You get to follow a truly unforgettable character through a time 300 years ago while also following a lovely young woman in a quest to help another woman and forcing her to use an ability she thinks of more as a curse. Nicola and Rob are beautiful if sometimes wonderfully frustrating characters told in the present time and seeking proof of Anna's existence in connection with an Empress. Anna is one character that cannot be outshone…yet lived 300 years ago. I enjoyed this story a great deal and had the pleasure of spending a beautiful rainy day enjoying it… but it is not for everyone. If you love historical facts and enjoy a little paranormal with that as well, you will greatly enjoy this book, as I have. If it is action and lively adventure you seek in your reading, this will not be the book for you. The pace is relaxing and slow, rich in descriptions and emotion. I have read many historical romances to varying degrees of care. This book keeps true to the accents and language for each character and time period which is great to see as I sincerely hate it when characters use some old language and some new. There is a great deal of accent in this book so if you haven't had a bit of experience hearing or reading Scottish or Irish accents you may struggle a little with pronunciation but once you get the hang of it, you will find it really brings the characters to life. I can greatly recommend this book. I enjoyed reading it. Disclosure: All opinions are my own. 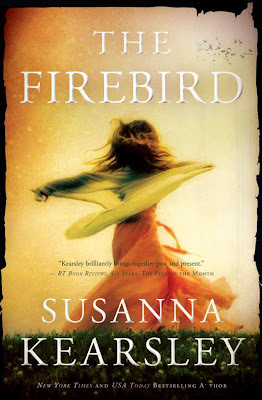 I received Firebird at no cost for the purpose of this review. No other compensation was received.